"Chinese Soul Food," the new 257-page cookbook from the Seattle writer, hits the shelves on Jan. 30. Hsiao-Ching Chou’s pork and cabbage dumplings. When you open Hsiao-Ching Chou’s Chinese Soul Food, you’re going to immediately want to make dumplings. The 257-page cookbook ($24.95), published by Sasquatch Books on January 30, dedicates a whole chapter to the world’s perfect food. That’s not surprising, since the little dough pockets, filled with meat and veggies and pinched closed with a deft hand, are the established writer’s signature dish, beloved by everyone she has cooked for, from Anthony Bourdain to dinner party guests to the students who take her extraordinarily popular Hot Stove Society classes. 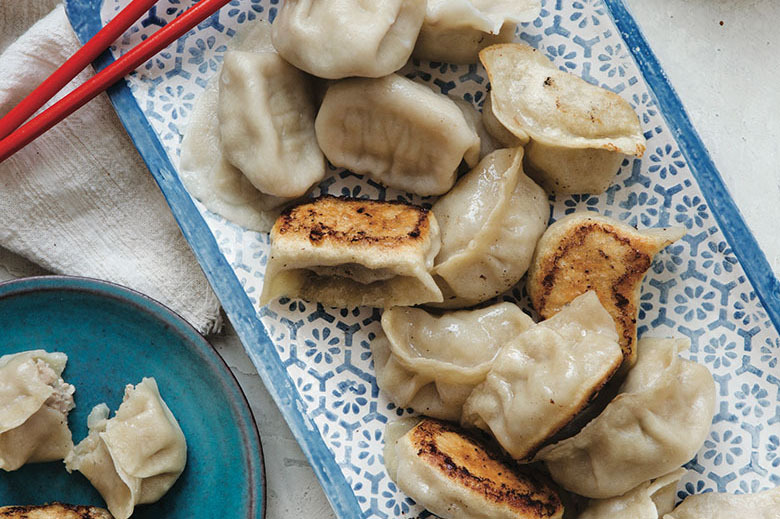 Dumplings aren’t, in fact, the easiest entry point to Chinese cooking. For the completely uninitiated, Chou recommends starting with a stir-fry. The easily adaptable dish is the kind of thing her mom made with whatever Western ingredients were available in the Missouri town they landed in after immigrating. Chou calls it an “on-ramp into cooking,” which is also the point of this book: to familiarize home cooks with the flavors, kitchen equipment and techniques of Chinese cooking. In addition to dumplings and stir-fries, the book also includes chapters on braises, soups, noodles, traditional celebratory Chinese dishes and guilty pleasures, such as crab rangoon and General Tso’s chicken. In the local food community, Chou is well known for her award-winning work as a food writer and editor, most notably at the Seattle Post-Intelligencer. The book’s release coincides with the 10th anniversary of Chou’s food blog, My Chinese Soul Food, which she started in 2007, after leaving the P-I, as a way to continue telling food stories. The blog went dormant for a number of years; Chou was busy raising two young kids and running a restaurant-driven PR firm. In 2011, she changed career paths, taking on the role of director of communications at a biomedical research nonprofit and now is working as a communications consultant.